For sure you know the problem. 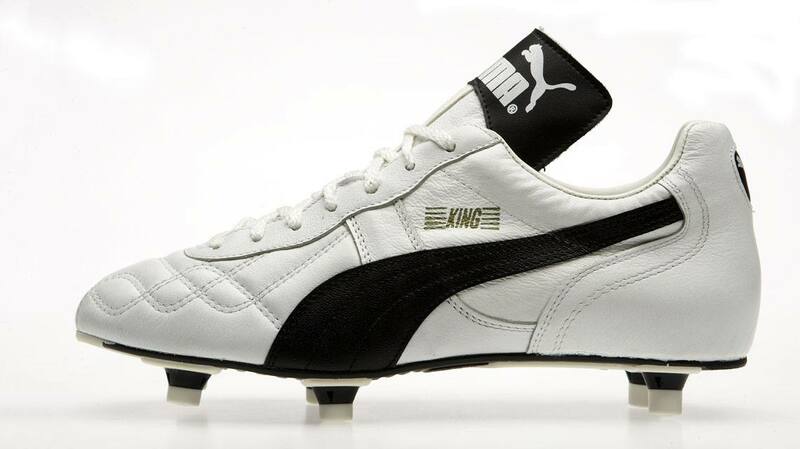 You want to go for a game of football and because it is quite cool outside, you put on a jacket. You start running and not long after you start sweating. While moving, the jacket is too warm. But when standing, you get cold quickly. Our colleagues from the Innovation team have finally solved this dilemma. 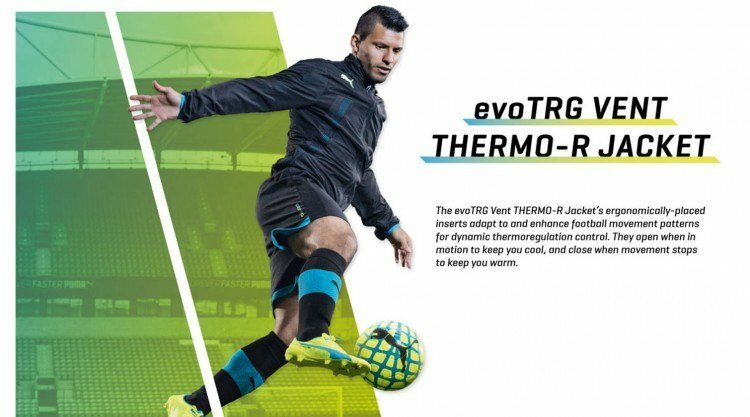 They designed a jacket with adaptive dynamic thermoregulation. 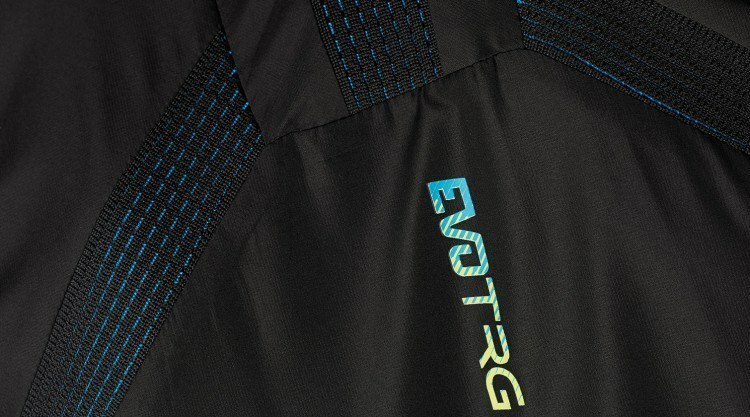 It is called the evoTRG Thermo-R Vent Jacket and has ergonomically-placed inserts that adapt during your moves: they open when you are running to keep you cool and close when you stop to keep you warm. This jacket is so amazing, that it was chosen as Winner in the ISPO AWARD 2016 category Apparel Performance Products Outer Layer. Hugh Clarke, Senior Designer Innovation Apparel, and Jordi Beneyto Ferre, Product Engineer Innovation & Sustainability Apparel, answered all our questions. How does the temperature regulation exactly work? Jordi: The jacket is constructed using dynamic mesh tapes positioned in specific areas of the body. These are activated by the natural body movement while exercising to allow cool air to come into the jacket through the front tapes, and exit through the back tapes. This creates airflow within the jacket to help keep you at the right temperature. When you stop moving, the vents automatically close down again and the jacket keeps you warm. Hugh: Another clever thing is that you can adjust the level of cooling you want to get. You can control the amount of air coming in and out by adjusting the length of the sleeve through three different thumb holes. 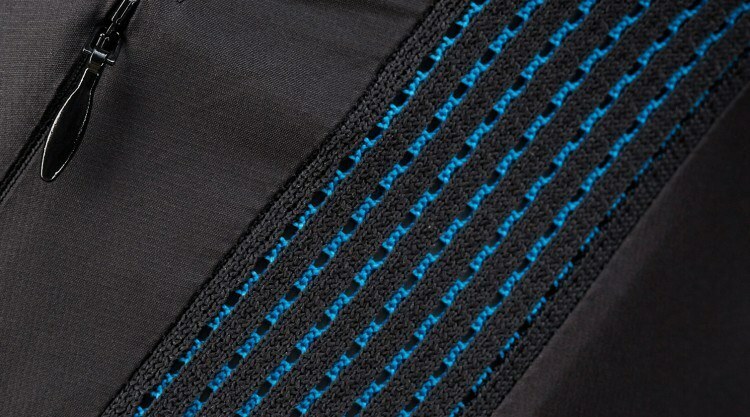 The more the sleeve is pulled down, the tighter the jacket is and the more the dynamic tapes open up. This way you can open the vents more or less. How did you get this amazing idea to design a jacket like this? Jordi: Thermoregulation is a key requirement for performance apparel. 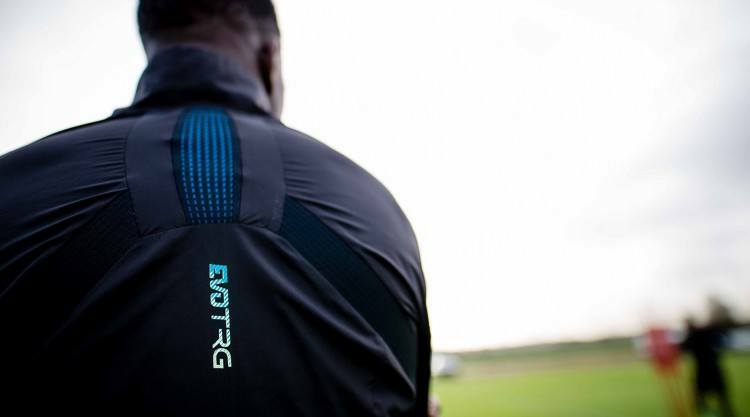 We constantly research for performance clothing that is able to adapt to the body temperature. The concept for this project was to use the exact movement that makes you heat up to cool you down. We looked at how a jacket reacts to the natural body movements and we found that tension lines always appear as you swing your arms. We took advantage of this natural movement to open the ventilation areas while in motion and automatically close them down while at rest. Hugh: The concept focused around the activity of running. 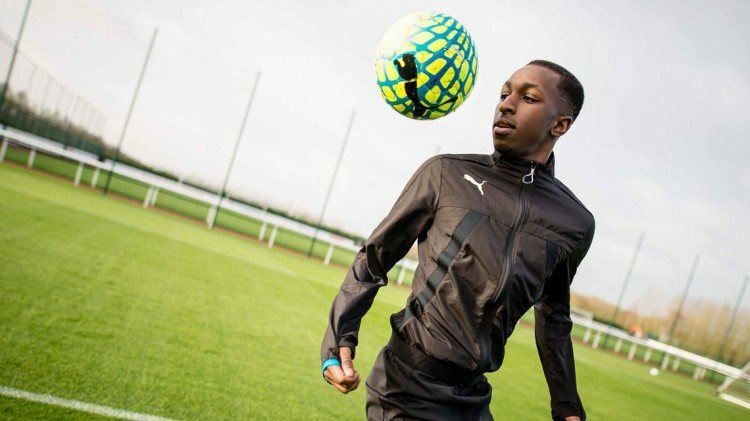 We tested it on footballers and the jacket needed to be close to the body and very durable with no pockets and no places for an opponent to grab. We did a lot of work on the exact placement of the tape to find out in which position they open up best to get the best ventilation for footballers. What was the biggest challenge in this whole project? Hugh: Our biggest challenge was to find the optimal placement for the tapes to open and close. This success was supported by Teamsport apparel team and in-house sample room colleagues. Jordi: The best moment was to prove that the jacket lets air in when you run and that it shuts down when you do not. We are very proud to receive the award on behalf of the brand. It is a great recognition to the work of many people who were involved in the success of this product. Hugh: Experimenting with pattern and design and weartesting the prototypes. Seeing the vents physically open and close in motion – this was quite a cool moment. ... and understands immediately how it functions. It is a simple yet effective solution which does not need much technical explanation. What would be your favourite superpower?